Irving Lowe (1929-2013) made major contributions to the early history of nuclear magnetic resonance (NMR) and magnetic resonance imaging (MRI). He earned a bachelor's degree at Cooper Union in 1951 and Ph.D. in physics from Washington University in St. Louis in 1956. As a postdoctoral fellow in 1959, Lowe developed a theory that by spinning samples at high speeds at a particular angle, NMR could reveal structural details not otherwise observable. His magic angle spinning NMR technique has been commercialized and is used today for molecular structure analysis in polymers and other solid materials. Lowe came to Pitt in 1962 to lead the University's NMR research group, after three years as a faculty member at the University of Minnesota. He joined the physics department as an associate professor and headed the University’s NMR research group. With the opening of Pittsburgh’s NMR Center for Biomedical Research in 1986, Lowe became a member of a joint scientific venture between Pitt and Carnegie Mellon University. He moved his lab to the Mellon Institute at CMU and built an imager around a commercial 31-cm. bore superconducting magnet. His group would go on to develop and refine the groundbreaking ultrafast imaging techniques that eventually would permit the observation of both streamline and turbulent fluid flow in a living animal. 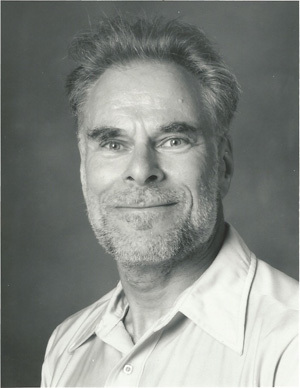 Lowe’s honors included a 1997 symposium at CMU for his contributions in NMR and, in 2004, the ISMAR prize, the highest award from the International Society of Magnetic Resonance.